After a workout, I often enjoy a simple protein shake. Usually, I’ll just use almond milk (light, unsweetened vanilla flavor, btw), and a scoop of whey. If I’m feeling extra hungry, I might throw in a tablespoon of peanut butter. Most of the time, this protein shake just serves to tide me over until it’s meal time. However, there’s no reason you can’t use your protein shake as a meal replacement. 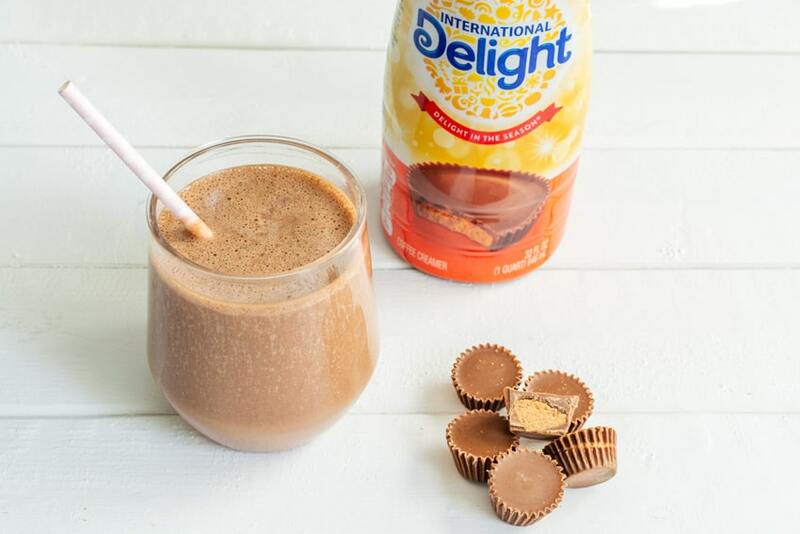 This peanut butter cup protein shake is a perfect meal replacement, if you ask me. Although I know it sounds indulgent, it’s actually pretty healthy. The only added sugar in the recipe is from the coffee creamer. If you want to cut down on the sugar even more, you could actually leave out the creamer and just use extra almond milk until you get the consistency you like. It will still taste like peanut butter cup even without the creamer because it still has chocolate and peanut butter in the recipe. The creamer will just give it extra richness and peanut butter cup goodness. I love this recipe because it’s super easy to make and really does work as a meal replacement when I’m on the go. The day I made this recipe, my daughter said yum and my son said yuck. I just laughed because my son doesn’t like peanut butter or chocolate, the two foods that I think make the world go round. It’s so funny how we have our preferences. Either way, I think this peanut butter cup protein shake is pretty fantastic. 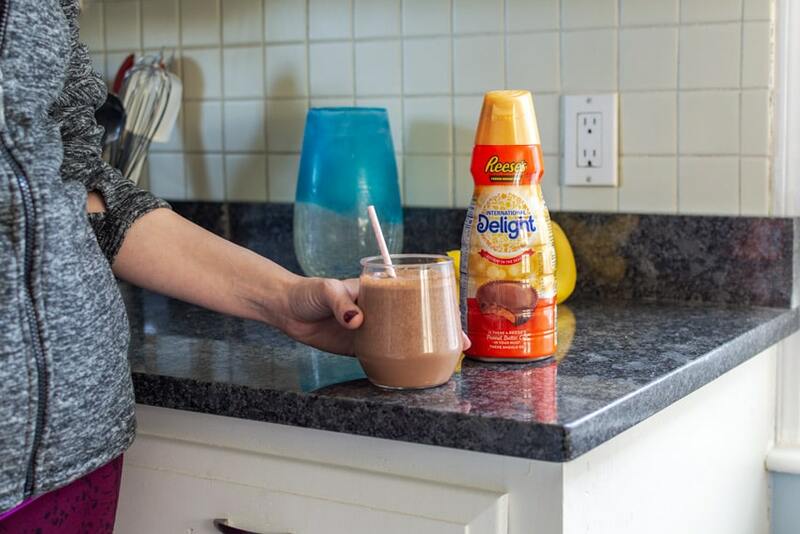 Definitely give it a try the next time you’re looking for a protein shake with a little indulgent spin. Note: This recipe can serve as the basis and you can definitely swap in other ingredients. If you don’t like greek yogurt, you can use regular yogurt. If you don’t like almond milk, you can use regular cow’s milk or coconut milk. I like using crunchy peanut butter in my protein shakes, but you could also use almond butter or regular peanut butter. If you want an extra chocolatey shake, you could add Nutella. If you don’t like bananas, you can thicken the shake with ice or additional yogurt instead. Looking for other smoothy recipes? Here’s a berry smoothie bowl recipe and here’s a kid-friendly fruit smoothie recipe.